This 1/72 scale model resin kit has resin clear for the windows and windscreen and includes two versions. 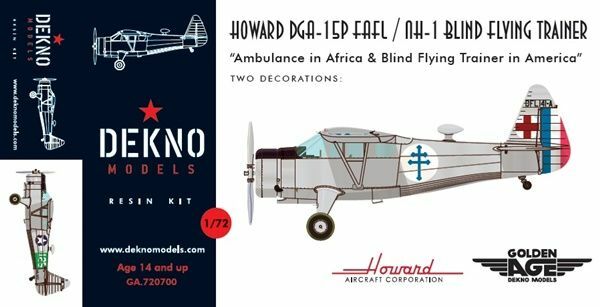 The first version is the of one of three DGA-15P donated by a group from New-York for use as an ambulance and flew in Pointe-Noire, Congo. One can see the photo of this aircraft in the "Hors Série #10" of the Magazine "Le Fanan de l'Aviation" intituled "La Petite Troupe"